Established in 2006, we, Orchid Material Handling Solutions Pvt. 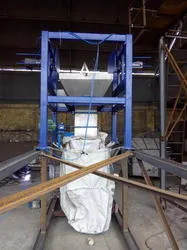 Ltd. is the manufacturer of Co Mill, Vibro Sifter, Drum Fillers, Hopper Bins, Batch Mixers, Lump Breaker, Nauta Mixtures, Pressure Vessel and Sealing Machine. We understand the progress of the industry, this is why we are extending our maintenance free products at impartial price scales. Our employees engage in close communication with our discerning clients, this supports us to intercept the most challenging and elaborate manufacturing requirements of our esteemed patronage. Further, our highly advanced R&D center and fully furnished manufacturing units highlight the urge to attain operational distinction amongst our team members. Furthermore, a quintessential element of our corporate reputation is created by our alliance with industry-leading vendors and logistics companies. The combined force behind our pre-eminent development is the rich technical expertise and ideological strategy. Our attitude towards quality and customer fulfillment performs an essential role in encouraging continued growth of the firm. Under the supervision of Mr. Rahul Dugaya, our firm is achieving heights of achievement. We also provide various amenities to the patrons to put their demands forward and get them solve timely and as per their requirements. Due to our client-centric approach, we have become similar to honesty and authenticity. These center values are profoundly rooted in our day to day company activities, which are additional sustained by our distinguished strict quality policy. We make certain to adhere to the global standards of quality in our manufacturing and delivery operations. 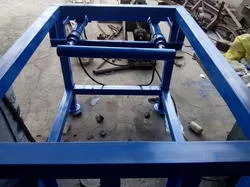 Moreover, we also foresee the same dedication from our authorized vendors and examine the inventory of raw material rigorously before preparing it for product development. We attempt to be the leading choice for our prestigious customers obliging excellent quality products produced with high-level technology. To achieve the goal, we fund heavily in reviving our infrastructural setup. Our production units consolidate leading innovative rendering technologies while our corporate office is fully equipped with hyper-connectivity to accommodate flexible support underpinning our extensive delivery network. We are a client-conscious organization and divert all our efforts on providing optimum satisfaction to the clients present in India as well as across the world. Our range of products is designed using the superior quality raw material. With the overwhelming client response, we have established a great rapport worldwide. We have been assisting the industry from 9 years, which ultimately gained us a novel position to exceed the competition. Our technological adeptness and large-scale production capabilities grant us a triumphant incorporation of market knowledge and advanced production methods. Our purpose to deliver a product spectrum is accommodating our clientele to achieve the converged advantages of excellent quality and cost effectiveness. We are staffed by most effective and highly enthusiastic team of experts who are continually trained and instructed to supplement value to the company. Our team includes highly collaborative engineers, technicians, associates and managers, who are proficient in their individual job functions of research and analysis, production, testing, stocking, packaging and distribution. Moreover, owing to the diligent team members, we encourage a collegial and advanced work atmosphere that distinguishes us from our rivals.